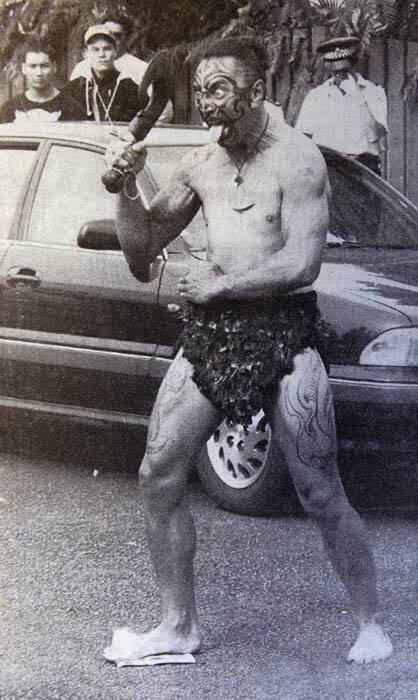 This modern-day warrior is trampling on a copy of the government's so-called 'fiscal envelope', during a hui at Tauranga in 1997. The National government proposed in 1994 a limit of $1 billion on total treaty settlements. This was rejected by Māori throughout the country and was formally abandoned, although the size of later settlements was relative to settlements signed before the cap was proposed.